OLD PARKED CARS. 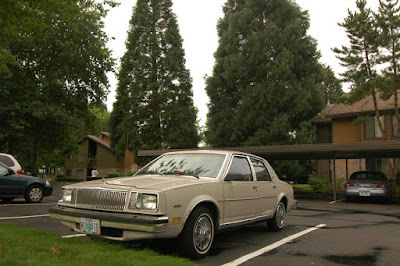 : 1983 Buick Skylark Limited Edition. 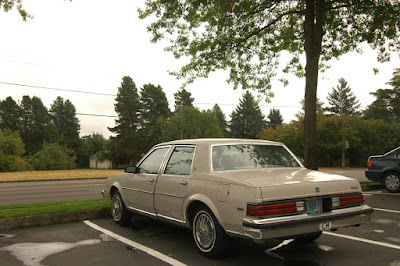 1983 Buick Skylark Limited Edition. Great find. I remember when those were new. I thought they were the best looking of the X cars. X-car fan here. Not crazy about the color but still a great find. These cars were good performers for their time with the V-6. Not many of these left in the northeast been a couple years since I've seen one. 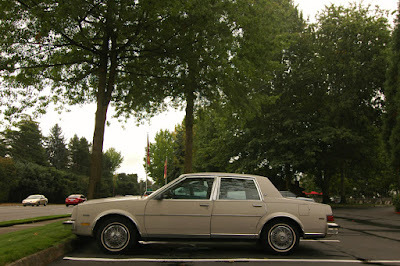 Another 80s car that wasn't loved and taken for granted.. This one survived, great find !!!!! Biggest piece of junk since the Vega. My dad had one of the first off the line, a 4 cylinder 4 door limited in metallic blue that looked great and had plenty of pep. But every time you stepped on the brakes in the rain, there was a decent chance you would be launched into a 180. Dealer said it was normal but the system that modulated between front and rear brake force was clearly a defective design. Judging by how the trim is not level, is the front door drooping a little bit?